Red Berets, Green Berets: Can Mali’s Divided Military Restore Order and Stability? With Paris insisting that the 4,000 French troops involved in the counter-terrorist operations in northern Mali will leave Mali sometime in March, it is worth taking a look at the Malian military that will be called on to secure northern Mali despite the continued presence of armed Islamists in the region. Mali’s interim political administration is still in turmoil, as is the army, which has been at war with itself ever since the March 22, 2012 military coup led by American-trained Captain Amadou Haya Sanogo. The two main factions in the army, broadly described as the pro-junta “Green Berets” and the anti-coup “Red Berets,” have each in their own way hampered the reestablishment of security and national unity in Mali. During the March coup, the “Red Berets” of the 33rd Paratroop Regiment, who doubled as the presidential guard, rescued President Ahmadou Toumani Touré and successfully concealed him from the putschists, eventually smuggling him out of the country to safety in Dakar, Senegal. President Touré was himself the former commander of the Red Berets and used the access this gave him to mount his own coup against President Moussa Traoré in 1991. President Touré, who was scheduled to give up his post after the national elections scheduled for May, 2012, resigned in exile on April 8, 2012, allowing the formation of a new interim government in Bamako. Fighting continued through the night, with a focus on the airport, the barracks of various security forces in Bamako, the national TV and radio stations and Sanogo’s headquarters at the Kati military base 15 kilometers outside Bamako. The counter-coup came to an end when pro-junta forces overran the Red Beret base at Djicoroni (outside Bamako) and Colonel Guindo went into hiding. Fourteen soldiers were killed in the fighting and at least 40 wounded. After the failure of the counter-coup, a number of Red Berets went missing after being detained by security forces, while others were reassigned to other units. Some 400 members of the regiment are now believed to be on active operations with other units in northern Mali, while most of the remaining 800 paratroopers refused to take up their new assignments, insisting that the paratroopers be retained as an operational group. Captain Sanogo blamed the counter-coup on “one single person who made an erroneous assessment of the situation. Colonel Abidine Guindo, head of the parachute regiment, leader of the presidential guard made up of elite troops, thought he could change the political situation and made it a personal problem. He convinced his men I bore them a grudge. It is false” (Jeune Afrique, June 9, 2012). Pro-junta troops swept through Bamako in the days following the failed counter-coup, searching for members of the Red Berets and making 140 arrests, including 40 senior officers (L’Essor [Bamako], May 3; Info Matin [Bamako], May 7, 2012). General Ibrahim Dembélé Dahirou (at the time a Colonel-Major, a French rank between Colonel and Brigadier) met with the 33rd Regiment in late June, 2012 to explain the decision to scatter the unit throughout other formations of the army, but promised to reconstitute the regiment after the liberation of the north was completed (L’Essor [Bamako], June 27). The families of Red Berets who had been captured or detained before going missing published a list of 21 officers and men who had not been heard from since their detention (L’Indépendant [Bamako], June 29, 2012). According to various human rights organizations, many of the missing appear to have been tortured to death (ANP/AFP, August 10, 2012). As it became clear that many of the arrested Red Berets were disappearing, new attempts to detain members of the regiment began to meet opposition from the women at the Djicoroni camp, who defied teargas and bullets to prevent the entry of security forces seeking to arrest Red Berets (Le Républicain [Bamako], August 4, 2012). Nearly a score of paratroopers were reported to have deserted in July, 2012 as officers of the regiment continued to be abducted from their homes (Les Echos [Bamako], July 10, 2012; L’Indépendant [Bamako], July 31, 2012; August 1, 2012). There was a proposal at the time to disband the 33rd and replace it with a new regiment of 1,200 men drawn from the police, the National Guard and the National Gendarmerie (L’Indépendant [Bamako], July 12, 2012). 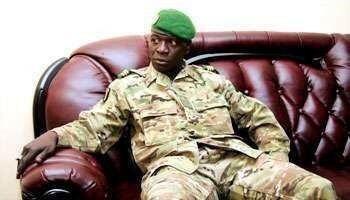 Colonel Guindo was found and arrested on July 11, 2012 (L’Indépendant [Bamako], July 12, 2012). On October 19, 2012, it was reported that Colonel Guindo had agreed to implicate leading Malian politicians and other figures in the attempted counter-coup, which had come to be known as “the Red Beret affair.” Guindo was also reported to have sought the personal protection of Captain Sanogo (Le Combat [Bamako], October 19, 2012). Tensions within the Malian military peaked when General Dembélé (now army chief-of-general-staff) took to national television to order the recalcitrant paratroopers to the front: “As we have this problem in the north on our hands, you will go and fight with your brothers-in-arms” (AFP, February 8). The fact that these orders were issued via television would seem to indicate the degree to which the command structure in Mali has broken down. Only days before Dembélé issued his new order there had been a glimmer of hope in the paratroopers’ camp that a resolution to their case was near. On January 30, 28 paratroopers and policemen charged with joining in the attempted counter-coup were released from detention. Among those released was former chief-of-staff General Hamidou Sissoko and Squadron Leader Mahamadou Lamine Konaré, the son of deposed president Amadou Toumani Touré (Radio France Internationale, February 2). 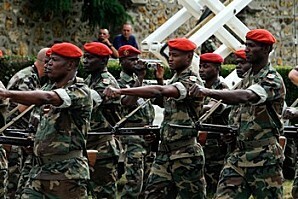 The release was followed by a rally at the Djicoroni camp calling for the Red Berets to be sent to the front as a unit. The refusal of the Red Berets to disband and take up new duties in northern Mali was seen as a personal challenge to the authority of General Dembélé, who determined to take action against them. In the early hours of February 8, a security team composed of armed members of the army, air force, police and the National Gendarmerie equipped with a BRDM combat reconnaissance vehicle rolled up to the camp of the 33rd Regiment of Paratroopers at Djicoroni, about halfway between Bamako and the headquarters of the Green Beret putschists at Kati. The security forces attempted to enter the camp, claiming they needed “to secure it,” but were instead faced by a group of angry women and children, the wives and offspring of the Red Beret detainees. Shouting that the security team would need to enter the camp “over our dead bodies,” the women and children initially turned the armed men back with sticks and stones (Le Combat [Bamako], February 14). At this point, the clash turned deadly as the security forces opened fire on the women and children with teargas and live ammunition. Two teenagers were killed and 13 wounded. An exchange of gunfire around the camp continued throughout the morning. Shortly after the firing stopped, President Dioncounda Traoré called on both factions “to permanently stop these repeated clashes in the Malian army…” (AFP, February 8). The incident was widely regarded as a national embarrassment, with the Malian military apparently pursuing a private feud well behind the lines as soldiers from France, Chad, Niger and elsewhere were fighting to retake northern Mali on behalf of the Bamako government. The first group of what will ultimately be a force of 500 European Union military trainers arrived on the same day as the confrontation between two factions of the Malian military, providing the trainers with a good indication of the challenges they will face. The leader of the EU mission, French General François Lecointre, noted that the Malian army was “in a state of advanced disrepair… the soldiers are badly trained, badly paid and under-equipped,” and lack arms, transportation and communications equipment (AFP, February 8). The EU training program is scheduled to begin in April and is designed to train four new battalions of 640 men each, with personnel drawn from new recruits and existing units of the Malian military (Reuters, February 20). General Lecointre made it clear that the EU mission was working through contacts with General Dembélé and Mali’s Minister of Defense and Veterans’ Affairs, Brigadier General Yamoussa Camara and had no intention of collaborating in any way with Captain Sanogo. A wave of arrests, mainly of politicians, followed the confrontation at Djicoroni (JournalduMali.com, February 12). On February 11, General Camara assailed the men still at Djicoroni as “deserters” who should be treated as such while their comrades move up to the front in northern Mali: “This decision has no political connotation. The army has a moral contract vis-à-vis society. All those who stand in the way of this contract will be excluded … There are more than 400 men of the 33rd regiment at the front, and some are even heads of operations” (L’Annonceur [Bamako], February 14; L’Express [Bamako], February 13). Resolution of the dispute within the Malian military has fallen to Prime Minister Diango Cissoko, who at times appears to be working at odds with his Defense Minister, General Camara, who appears to be seeking the military solution also favored by Captain Sanogo. Cissoko received a delegation of Red Berets led by Colonel Seydou Moussa Diallo on February 12 in hope of reconciling the army’s factions. Cissoko assured the delegation that the regiment had not been dissolved, but notable in his absence from the meeting was the Minister of Defense (Le Pretoire [Bamako], February 14). There is also a question of security for Sanogo and his coup partners, who fear retribution from the friends and families of those who have been killed or disappeared while in the hands of the Green Berets. Getting Sanogo and his comrades out of the Kati military base will depend on a combination of security guarantees, amnesties and personal incentives. Sanogo claims he has no political ambitions while doing everything possible to keep his hands on the reins of power. As an incentive to step down in favor of a new interim prime minister, Sanogo was granted the status of former head-of-state in April, 2012 with all its perks and benefits, though this status was later withdrawn after a public outcry. The captain was instead confirmed as the head of the newly-created “Committee of Army Reform” on February 15. Though Sanogo gave way to the new government of Cheik Modibbo Diarra, the junta held on to the vital ministries of the interior, defense and territorial administration. After Diarra showed too much independence, Sanogo showed where the real power still lay in Mali by ordering the arrest of the prime minister on December 11, 2012, forcing his resignation a short time later. 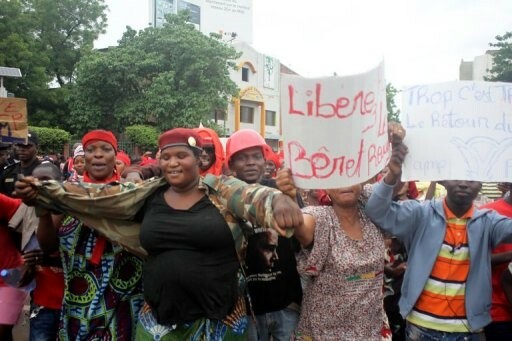 In May, 2012, Sanogo supporters fought their way past a Red Beret guard detail to assault interim president Dioncounda Traoré, who was stripped naked, beaten and left for dead before he was rescued and sent to France for emergency medical treatment. Sanogo, who once boisterously claimed he would “fight with his last breath” to retake northern Mali, has instead been sidelined by the conflict as foreign troops mount the campaign without him. Informed that he can join Malian forces operating behind French and Chadian troops as a captain, Sanogo has instead chosen to remain in his newly-constructed and well-guarded house at Kati with other members of the junta who have failed to report for duty in northern Mali (Mali Actualites, February 8). The steady procession of politicians, businessmen and administrators seeking his favor has dried up, however, as the captain finds himself outside of the decision-making process since the arrival of the French. The former putschists are reported to be seeking diplomatic positions abroad or well-financed retirements in Bamako in their discussions with ECOWAS negotiators (Radio France Internationale, February 6). The Malian army’s humiliation was made complete when French and Chadian forces took the Tuareg stronghold of Kidal on February 9. Malian troops were deliberately excluded from the re-occupation force at the insistence of Tuareg separatist rebels and Tuareg Islamists who recently left Ansar al-Din. Units from these rebel groups, considered to be the enemy by Bamako and the Malian army, are now working alongside French forces while Malian troops are urged to keep out of Kidal. Colonel al-Hajj ag Gamou and his pro-Bamako Tuareg militia are the only Malian troops operating in Kidal, having come into northern Mali from Niger alongside Chadian and Nigérien troops. According to Ag Gamou: ““The French have to continue their mission until the threat is neutralised… and Mali’s army is able to control the whole country” (Radio France Internationale, February 15). When asked about the absence of Malian troops in Kidal, the Minister of Defense, General Camara, explained that “the Malian army cannot keep pace with the maneuvers of the French army… because we have an army reconstruction” (Le Républicain [Bamako], February 18). The paratroopers of the 33rd Regiment insist they are ready to fight for Mali, but will do so only as a unit, declaring on January 31: “We are at the disposal of the nation which will make of us what she wants” (L’Indicateur du Renouveau [Bamako], February 14). Prime Minister Cissoko took to national TV on February 15 to announce that the 33rd would be “restructured” rather than disbanded. One company would act as instructors in Bamako while the other two companies would be sent to Gao and Timbuktu, where they would receive training before being deployed in active operations in northern Mali. These measures are scheduled to take place by March 1 “at the latest” (AFP, February 16). Before Paris apparently mistook a probing effort by Islamist rebels as a full-fledged attack on the Malian capital and launched a massive military intervention in January, there was a general consensus in the international community that the inevitable military drive through northern Mali had to be preceded by a restructuring and retraining of the Malian military that included the removal of soldiers from the levers of power in Bamako. The hasty intervention has instead left elements of the Malian military still meddling in politics and many of its best troops as virtual prisoners in a military base outside Bamako. At the moment, there seems little possibility that Mali’s army will play anything more than a marginal role in the re-conquest of the north. If military success by the international forces in northern Mali is not accompanied by political restructuring and military reform, the ongoing intervention will likely have little long-term impact on regional security. This article originally appeared in the February 22, 2013 issue of the Jamestown Foundation Terrorism Monitor. Following an appeal from an al-Qaeda front organization calling on Iraqi Sunnis to take up arms against the nation’s Shiite majority, a series of devastating car bombings and roadside explosions targeted the Shiite neighborhoods of Baghdad on February 17, killing 26 people and wounding 119 others. Four more car-bombs were discovered and defused by Baghdadi police the next day (al-Bayan [Baghdad], February 18; al-Sabah, February 18). The blasts came a day after the February 16 assassination of a senior army intelligence officer, Brigadier General Awuni Ali, and two of his aides by a suicide bomber in Mosul, one of ten such attacks so far this year (al-Sabah al-Jadid [Baghdad], February 17). Daily political violence is clearly on the increase again in Iraq; on the same day General Awuni Ali was killed, a police colonel was murdered at a checkpoint in Mosul, a police officer killed and three wounded by a roadside bomb in al-Anbar province and a judge killed by a“sticky bomb” in Kirkuk (AFP, February 16; al-Sabah al-Jadid [Baghdad], February 18). 246 people were killed in Iraq in January alone as the violence proliferates (AFP, February 1). Since last December, thousands of Sunnis have participated in daily demonstrations in heavily Sunni western Iraq (particularly in al-Anbar province), complaining of sectarian-based discrimination and calling for the resignation of Prime Minister Nuri al-Maliki (al-Jazeera, February 2). 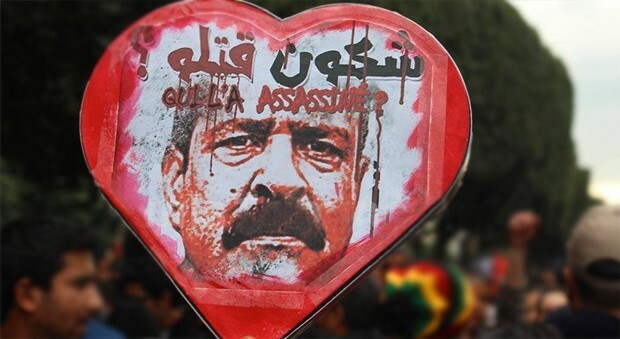 The initial demonstrations were sparked by the December 20 arrest of at least nine guards of Finance Minister Rafa al-Issawi, a top Sunni leader. Similar marches have been carried out by the Sunnis of Baghdad, Mosul and Samarra. Massive anti-government protests in Fallujah were further inflamed by death in late January of seven young protesters in clashes with security forces (al-Jazeera, February 2). The deaths presented an immediate obstacle to attempts by the Maliki government to appease the growing hostility of the Sunni community. In recent weeks, the government claims to have released 900 prisoners, raised the salaries of Sunni militiamen fighting al-Qaeda and apologized for holding detainees without charge for long periods (AFP, February 1). Many of the Sunni detainees were arrested on the basis of information received from secret informers, a practice the prime minister has promised to stop. Massive unemployment, government corruption and a failure to provide basic services are all additional factors aggravating Sunni alienation from the post-Ba’athist state. 3/ Sunni politicians have never been bothered by the desecration of Sunni holy places, the violation of Sunni women or the imprisonment of “hundreds of thousands of prisoners and detainees.” They are concerned only with preserving Iranian sovereignty over Iraq. 5/ The Safavid government won’t hesitate to shed Sunni blood and has already begun to do so. Nuri al-Maliki has borrowed his belittling rhetoric from the Nusayriyah (Alawites, i.e. the Syrian regime of Bashar al-Assad). The Safavids don’t have a chance to rule Iraq, so they will “fight to the death” to maintain their temporary political superiority. 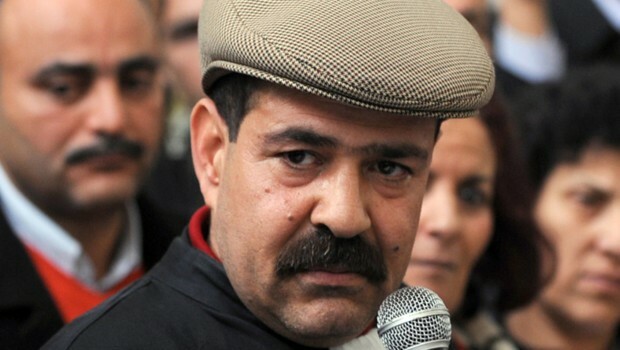 In these circumstances, what has already been endured by Sunnis in Iraq and Syria will not be “one-tenth what they will receive from the Rafida of Iraq when they show their full reality.” At that point, Iraqi Sunnis will be faced with a choice; bow to the Rafida and be humiliated, or take up arms and seize the upper hand. 6/ There is “no use” to having peace with the Rafavids, as the people of al-Shams (Syria) can testify. As al-Qaeda bombs continue to target Iraq’s Shiite majority, there is the danger that Shiite “self-defense” militias will return to the streets, reviving the bitter and bloody sectarian warfare that prevailed in Iraq in the mid-2000s. The recent announcement of the creation of a new Shiite militia called the Mukhtar Army “to help security forces” in the battle against extremism brought a government reminder that only state security forces are allowed to carry arms in the streets (Xinhua, February 10). 1. Ministry of Information / Islamic State of Iraq, “Statement about the attack of the Muwahidin in Baghdad in response to the recent crimes of the Safavid government,” ansar1.info, February 17, 2013. 2. 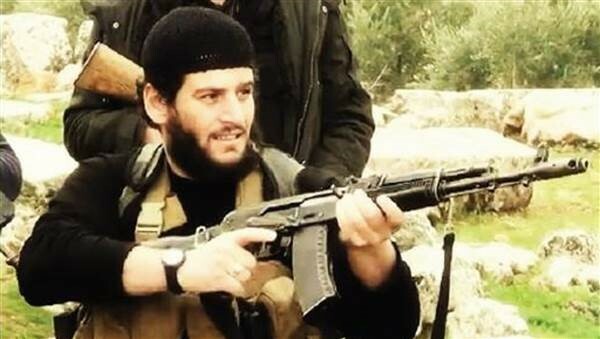 Speech by Shaykh Abu Muhammad al-Adnani, “Seven Facts,” Islamic State of Iraq, January 2013, released by al-Furqan Media, February 1, 2013. 3. “Safavid” is used here in a pejorative sense to refer to Iraqi Shiites while implying their subservience to Iran. The Persian Safavid Dynasty (1501-1736) controlled much of modern-day Iran, Iraq, Afghanistan and the Caucasus region. This article was originally published in the Jamestown Foundation Terrorism Monitor, February 22, 2013. As the long-promised ECOWAS/African Union intervention force cools its hells behind the lines in Mali, experienced desert fighters from Chad and Niger have stepped into the breach, operating side-by-side with the French in retaking northern Mali from the Islamists and now mounting search operations for Islamists hiding in the sun-baked mountains of Kidal region. With a total contribution of nearly 2,500 men (2,000 from Chad), the contingents from Chad and Niger provide a significant boost to combat capability of the French force of 4,000 troops. Back in Bamako, the African-led International Support Mission to Mali (AFISMA) continues to be assembled piecemeal from troops arriving from seven West African countries. 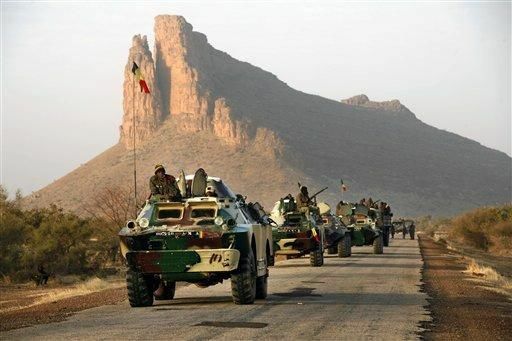 Some 1800 Chadian troops have been joined in in the northern city of Kidal by several hundred soldiers from neighboring Niger who have been attached to the Chadian group since it passed through Niger to enter northern Mali from the south. These troops are now carrying out search-and-destroy operations to eliminate armed Islamists thought to be hiding in the caves of the Adar des Ifoghas mountains of north-eastern Mali. The Chadians are guided by local Tuareg belonging to al-Hajj ag-Gamou’s pro-government militia or the separatist Mouvement National de Libération de l’Azawad (MNLA), the group that began the civil war in Mali over a year ago but was displaced by their former Tuareg Islamist allies in Ansar al-Din. Air support is provided by France, which has carried out scores of bombing runs in the region. So far, however, there seem to have been few contacts of any significance with Islamists in the region, many of whom may have already slipped across the international borders into Mauritania, Algeria, Libya or Niger. French reports describe their targets in the mountains as “mostly logistical depots and training centers” (AFP, February 5). The military intelligence chief of the Chadian deployment, Lieutenant Colonel Ibrahim Idriss, has identified the Chadian advantage in pursuing the Islamists: “We are Muslims like them, so we understand their ideology and we don’t fear them” (McClatchy Newspapers, February 8). The Chadians spent several days in Menaka before heading north to Kidal. On the evening of February 8, Chadian and French forces entered the isolated garrison town of Aguel Hoc, scene of a rebel massacre of government troops in January, 2012. The next day, the Chadians and French seized Tessalit and entered Kidal, which had already fallen under the control of the MNLA, who successfully demanded that Malian troops be excluded from the occupying force as a condition of turning over control of the city. The Kidal airstrip had already been taken by the French on January 29. After the French and Malian troops failed to secure the homes of leading Islamists who had fled Gao and Timbuktu, leading to the loss of large quantities of important documents to looters and curious journalists, French and Chadian searches in Kidal are reported to have yielded large quantities of arms as well as a wealth of useful documents such as passports and lists of fighters. Telephone chips and computers found in Kidal have been sent on for analysis (RFI, February 5). Chadian president Idriss Déby Itno, as then-commander-in-chief of the Chadian military, cooperated closely with French intelligence, Foreign Legion and air support units in the 1986-87 “Toyota War” that forced Libyan forces out of Chad permanently. The highly-mobile tactics developed by Déby and others in that war continue to characterize Chadian operations and have become the model for many insurgent groups and some government forces operating in the Sahara/Sahel region. The Chadian deployment in Mali is under the command of Déby’s son, General Mahamat Idriss Déby Itno. Déby’s commitment of a substantial number of his best troops to the Mali intervention demonstrates the president’s confidence in his political control of Chad, his elimination of insurgent threats and the steady improvement of relations with neighboring Sudan that followed the 2010 rapprochement. Prior to that, both Khartoum and N’Djamena were engaged in a proxy war in which each side supported rebel movements inside their rival’s territory. Both regimes were nearly toppled in the process, but now there are plans to build a Qatari-financed road to tie the two countries. There is also a small French military base in N’Djamena with a pair of French fighter-jets and some 200 Legionnaires; it is not impossible that some type of guarantees were given by Paris regarding the preservation of the Déby regime in an emergency while his best troops are deployed in Mali. Nonetheless, the Chadian capital of N’Djamena has been on a war footing since joining the Malian intervention. Dozens of suspects have been arrested as the Mobile Police Intervention Group carries out multiple patrols, identity checks and vehicle searches. 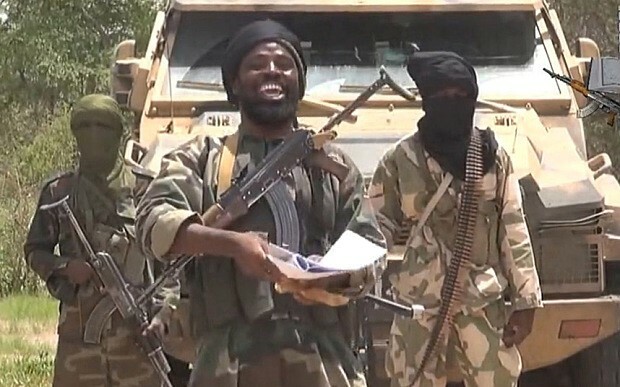 A report citing an anonymous diplomatic source claimed 500 members of Nigeria’s Boko Haram had entered the capital, but this report was quickly denied by a Chadian government spokesman (Jeune Afrique, February 13; Radio France Internationale, February 14). Chadian forces are also present in the Central African Republic (CAR), which they entered in mid-December 2012 to prop up the regime of President François Bozizé against the Seleka coalition of rebels marching on the capital of Bangui. Niger, which has faced a series of rebellions from Tuareg rebels with loose connections to Tuareg rebels in Mali, has no wish to see the MNLA legitimized for fear separatist success in Mali will revive the relatively dormant Tuareg independence movement in Niger. 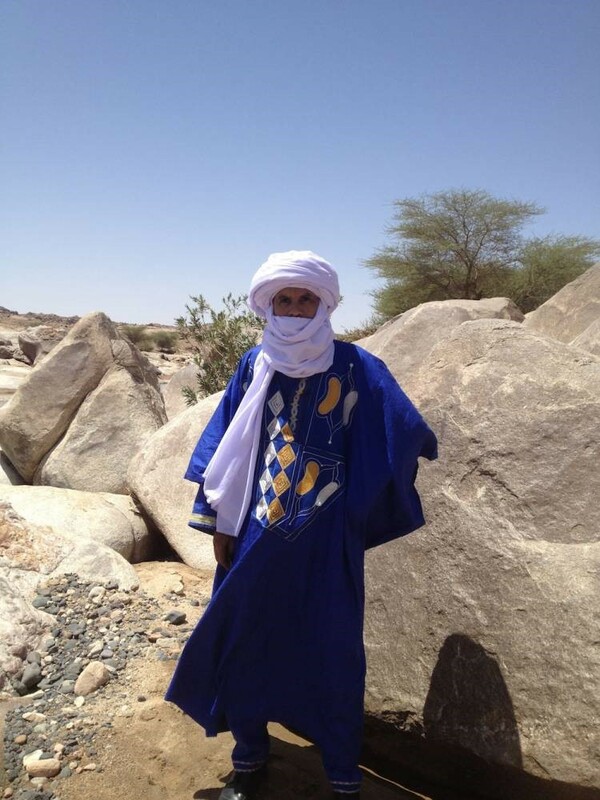 Nigérien President Mahamadou Issoufou recently stated: “The MNLA is not representative of the Tuareg people in Mali. It represents a tiny minority” (Le Monde, February 4). There is no doubt Issoufou is uncomfortable seeing his troops working side-by-side with the Tuareg separatists of the MNLA, but he has no more influence on the composition of the counterterrorist force than does Bamako, which has issued arrest warrants for the MNLA leaders that have been ignored by the French and their allies in Kidal. According to documents said to have been seized by French forces in Mali, Niger was designated to be the site of the second phase of the Islamists’ plan to create an Islamic Emirate in the Sahara/Sahel region (al-Khabar [Algiers], February 13). Issoufou confirmed that French Special Forces have moved in to protect Niger’s uranium industry facililties from an In Aménas-style attack. Most of the uranium produced in Niger is destined for French energy and military uses. Niger has enormous, largely unguarded borders with northern Mali, and has taken a strategic decision to take the fight to the Islamists even though this commitment will decrease the number of men available to maintain the security of Niger’s 500 mile border with Mali. Niger’s desert units are well-experienced and normally contain a number of former Tuareg rebels who have been re-integrated into Niger’s military, though it is unclear whether such individuals form part of the present deployment. Nonetheless, the Nigérien army is small and underfunded, leaving the president to seek military protection where he can. When a U.S. diplomat asked Issoufou on January 28 if Niger would be willing to host a U.S. surveillance drone base, the offer was accepted immediately (Reuters, January 29). The Chadian deployment in Mali comes in stark contrast to that of Nigeria, which leads the AFISMA mission but has so far only managed to field under 300 of the 1,200 man deployment promised by Nigerian president Goodluck Jonathan. Many of the men appear to have arrived without arms, preventing their deployment in most tasks, and morale has suffered from food shortages. In their search for provisions, officers and men are reported to be resorting to “courtesy calls” on local leaders who are then expected to “return the call,” usually with a large gift of food (Premium Times [Lagos], February 12). Despite government claims of a fighting advance into northern Mali, Nigerian troops have yet to move out of Bamako. The deployment is highly unpopular in Nigeria, where many citizens worry the intervention will only provide new opportunities for vast sums of money to be siphoned from the national treasury. There are also critics who suggest that the army should finish dealing with the Boko Haram threat inside Nigeria before it engages in foreign adventures. Nigerian troops are already deployed abroad in Darfur with the African Union/United Nations Hybrid Operation in Darfur (still using the former acronym UNAMID). With AFISMA largely designed to be built around a Nigerian core, there seems little chance that the other West African contingents arriving in Bamako will see the front-lines any time soon. In a way they served as a diversion in the southwest while the real African combat group entered Mali from the southeast. The Hunt for Mali’s Missing Islamists: Have Tuareg Rebels Returned to Darfur? 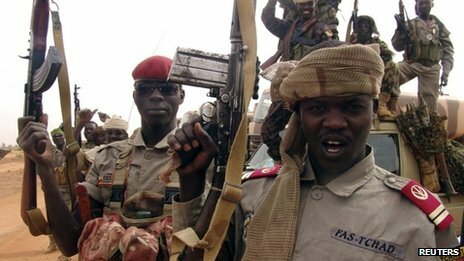 A century after West African Tuareg rebels fled from French forces to Darfur, various reports suggest that the Tuareg Ansar al-Din Islamists of northern Mali have again fled a French military offensive to take refuge in Sudan’s western province. 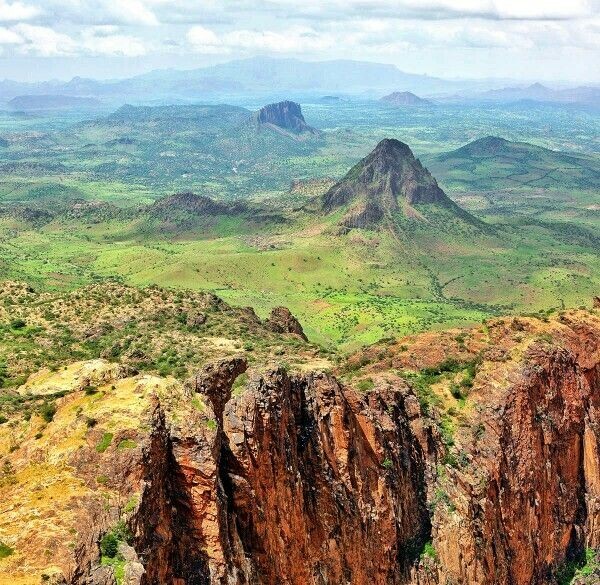 Numerous but unconfirmed reports are filtering out of Sudan’s western province of Darfur regarding the sudden arrival in the mountainous region of Jabal Marra of hundreds of Islamists escaping the French and Chadian offensive in northern Mali. Most of the armed men are said to be from the largely Tuareg, partly Arab Ansar al-Din movement led by veteran Tuareg rebel Iyad ag Ghali (a.k.a. Abu al-Fadl). If an Ansar al-Din convoy managed to escape to Darfur, it would most likely have followed a route taking it along the desert track in northern Niger and through poorly secured southern Libya before dropping down into northern Darfur via the road running south from Kufra Oasis. For the rebels, it would be important to avoid the territory of Chad, France’s main military partner in the intervention. Sudan Liberation Movement-AW leader Abd al-Wahid al-Nur announced on February 8 that Islamists from northern Mali had arrived “to make our stronghold, Jabal Marra, as their base.” Al-Nur put their numbers in “the hundreds” and said they stood out locally by virtue of their dress, language and skin color (AFP, February 8). One source provided a detailed deployment of the Islamists, who are alleged to have arrived in North Darfur in approximately 200 Land Cruisers since the start of February. Since then, the Islamists are reported to have set up three camps near Kutum; one near the IDP camp at Kassab, one at Jabal Mari, seven or eight kilometers north-east of Kutum and one at Sijana, ten kilometers north of Kutum. The Islamists, who are reported to speak French and use Central African francs and U.S. dollars to buy provisions in the Kutum market, have covered their weapons and vehicles with large green tarps to conceal their position (Radio Dabanga, February 11). The reports were apparently confirmed by Abul Gasim Imam, spokesman for the rebel umbrella group, the Sudanese Revolutionary Front, who reported the presence of Islamist militants at Mulagat, some 15 kilometers north-east of Kutum. SLM-MM leader Minni Minawi claimed that Khartoum was working with the new Libyan government to establish Ansar al-Din in the Sudan-Libya border region in north Darfur (homeland of Minawi’s Zaghawa tribe) (Sudan Tribune, February 6). Yet another confirmation came from Gibreel Adam, a spokesman for Darfur’s rebel Justice and Equality Movement (JEM), the most powerful of Darfur’s rebel groups. According to Adam, the fighters had entered Darfur in armored Land Cruisers through the lawless rural bushlands of the Central African Republic (CAR) (New Vision [Khartoum}, February 9). The route through the CAR would require passing through Niger, the Borno region of Nigeria and northern Cameroon if Chad is to be avoided on the way to the CAR. It seems unlikely that the heightened Nigerian security presence in Borno during the ongoing Boko Haram insurgency would miss hundreds of armored battle-wagons topped up with Tuareg and Arab fighters. There remains the possibility, however, that some kind of deal could be cut in crossing these borders by convoys with enough cash. Another senior JEM leader, Tahir al-Faki, noted that JEM fighters had spotted the Islamists in the Um Sidr and Kutum areas, but added that JEM operatives who watch desert traffic near Jabal al-Uwaynat on the route from Libya’s Kufra Oasis to Darfur had not seen any unusual movement towards Darfur in recent days, leading al-Faki to describe reports that the Islamists may have used this route to enter Darfur as “not accurate.” Al-Faki speculated that Khartoum might demand a reward for extraditing the Islamists to Western countries, but might also “plan to use them to control areas of Golo and Kutum and force the indigenous population to leave their land in Jabal Marra” (Sudan Tribune, February 12). When asked earlier this week to speculate on the location of the missing Islamists, Hama ag Sid Ahmad, spokesman of the largely Tuareg Mouvement National de Libération de l’Azawad (MNLA), did not mention Darfur as a possibility: “Some think they are between the Niger-Mali, Algeria-Mali and, finally, the Mauritania-Mali borders. Others have left heading toward Libya. A goodly portion of the groups is still present in Gao, Timbuktu and Tessalit” (Le Temps d’Algérie, February 12). Despite Bamako’s objections, the separatist MNLA is working together with French and Chadian troops in the hunt for Islamist rebels in the Adrar des Ifoghas mountains. Jabal Marra is not exactly a haven of peace these days. Rebels belonging to the Sudanese Liberation Movement – Abd al-Wahid (SLM-AW, drawn largely from the indigenous Fur tribe and named for movement leader Abd al-Wahid al-Nur) claim to have scored recent successes in a campaign that began in western Jabal Marra in late December. Jabal Marra is the ancestral homeland of the Fur and the center of a Fur dynasty that ruled the region for two and a half centuries until it was overthrown by the British-led Egyptian Army in 1916. After a two-day battle last week, the rebels claimed to have taken the town of Golo and a nearby military base in Derbat, a serious reversal for Khartoum’s military (AFP, February 5; Radio Dabanga, February 7). The SLM-AW claims to have killed eleven Malians fighting alongside Sudanese troops in the battle for Derbat and to have captured one Islamist militant from Mali, a badly wounded individual named Abu Ala al-Issawi (Radio Dabanga, February 8). Fighting also continues in eastern Jabal Marra, where villages have come under aerial bombing from the Sudanese air force combined with attacks by pro-government militias operating out of al-Fashir (Radio Dabanga, February 6). One of the most bizarre explanations for the disappearance of northern Mali’s Islamist commanders came in a report carried by an Algerian daily that described two Qatari planes landing in northern Mali to carry the jihadists away to safety. The account did not provide any details regarding the source of this information (Le Temps d’Algérie, February 5). There is growing speculation in France that Qatar has provided covert support to the Islamists in northern Mali (particularly Ansar al-Din), but so far there is little evidence to support such allegations (France24, January 21; Le Canard Enchaine, June 6, 2012). Support for al-Qaeda and its affiliates would not seem to be in the interests of Qatar, which depends entirely upon the United States and other Western nations for its defense. Qatar nevertheless supports the international spread of Salafism and was the only foreign nation to provide humanitarian assistance to northern Mali during the Islamist occupation. Qatar vigorously opposed the French military intervention, calling for a process of dialogue instead. Libya and Sudan agreed on February 2 to both move troops up to their mutual border to control movement along the “Libyan Road” that leads south from Kufra, past Jabal al-Uwaynat and into Darfur. The Kufra region was designated a military zone and the border with Sudan closed on December 15, 2012. Libyan warplanes are monitoring the Kufra region from the border with Chad to Jabal al-Uwaynat and Jabal al-Malik near the border with Egypt and have already struck a smugglers’ camp in the region (Libyan News Agency, December 19, 2012). Even given the Libyans’ limited military capacity, it is hard to imagine a large number of armed vehicles passing through this region unobserved and unchallenged, especially by the Tubu militias operating in the area. Avoiding the customary route through the Kufra-Darfur border would require local guides and a challenging drive through trackless wastes. Chad and Sudan have operated joint border patrols to restore security along the traditionally volatile border with Darfur since agreeing to end a long-standing proxy war in the region in 2010. Prior to that agreement, the Zaghawa political elite in Chad were major backers of the largely-Zaghawa leadership of Darfur’s rebel Justice and Equality Movement (JEM). This relationship appears to have deteriorated greatly since N’Djamena withdrew its support for the rebels after the 2010 rapprochement with Khartoum, with JEM claiming to have repulsed an attack on their fighters in late January by Chadian forces near Um Dukhun in South Darfur (Sudan Tribune, January 31). JEM’s account of a major clash with Chadian troops was refuted by a Sudanese Army spokesman. (The Citizen [Khartoum], February 7). Despite the multiple accounts seeming to confirm the arrival of Ansar al-Din in Darfur, there are still several reasons to remain wary. Most of the accounts originate with rebel groups who would be happy to embarrass the Khartoum government by suggesting some type of collusion between the Islamist/military regime and al-Qaeda associated jihadists. The way to Darfur from northern Mali is extremely long and difficult, roughly 2,000 miles through some of the most forbidding terrain on Earth. Getting all the way to Jabal Marra would mean passing by more inviting refuges in southern Libya, where government control barely exists. Many Ansar al-Din are familiar with southern Libya through their military service in Qaddafi’s armies; Darfur, however, is terra incognito, a land where language and appearance would quickly mark the fugitives and prevent them from melting into the local population. Jabal Marra is a highly militarized zone where operations are carried out regularly by the Sudanese Army and a variety of rebel groups pursuing the decade-old insurgency against Khartoum. Confrontations with other armed groups would be inevitable unless a number of deals could be quickly worked out. Khartoum would also appear to have little to gain by granting the Islamists refuge on Sudanese territory, a necessity if the Islamists intended an extended stay in Darfur. Khartoum has invited West African Arabs to migrate to Darfur in the past with the intention of displacing the indigenous non-Arab population, but none of these arrived with the kind of international heat that will follow Ansar al-Din and other Islamists escaping northern Mali. If Ansar al-Din elements have actually succeeded in making it to Darfur, they may find it more difficult to get out than to get in. The movement of Tuareg rebels from West Africa to Darfur, if independently confirmed, would oddly parallel a similar flight of Tuareg rebels from French troops to Darfur a century ago. Having taken the worst of it in several engagements with French colonial troops in what is now Mali, Niger and southern Algeria, a large number of Tuareg warriors moved east to the Fezzan (southern Libya) and the Ennedi region of modern Chad, where they joined with the forces of the Sanusi confederacy, an emerging Islamic proto-state led by the Sanusi Sufis of Cyrenaica (eastern Libya). The Sanusis welcomed the Tuareg fighters, recognizing that their defeats at the hands of the French had come not from lack of fighting ability, but from a reliance on the now antiquated “white arms” – swords, spears, knives, etc. Retrained by the Sanusis in the use of firearms, the Tuareg acquitted themselves well in several battles with the French over Saharan wells and ancient forts, but ultimately were forced to give way before French artillery and the seemingly inexhaustible number of well-trained Malian and Senegalese tirailleurs (colonial riflemen) France could continue to throw at the Tuareg and their Sanusi allies. By 1909 the surviving Tuareg were exhausted by war and began to move east to Darfur to seek the protection of its Sultan, Ali Dinar. Though Ali Dinar ruled independently, the British had made a claim of sovereignty over Darfur in 1899. This and the Sultan’s substantial army provided the roughly 10,000 Tuareg refugees some reassurance that they would not be pursued there by the relentless French colonial forces. Unfortunately, the Tuareg could not resist returning to the raiding lifestyle they had enjoyed before the intrusion of the French. An infuriated Sultan ordered the Tuareg expelled for “their deeds of wickedness and immorality,” but after protests from the Sanusi, Ali Dinar settled for disarming and despoiling the Tuareg. A number of Tuareg women were taken off to the royal harem and the Tuareg slaves were impressed into the Sultan’s own army. Most of the remaining Tuareg (known in Darfur as Kinin) were disarmed and resettled near the lead mines of Kutum in Jabal Marra, the same region cited in nearly all reports of a Tuareg Ansar al-Din presence of the last few days. In 1913, the Sultan softened his position and allowed the Tuareg to resettle a half-a-day south of the capital of al-Fashir. While small units of Tuareg joined the Sultan’s army, most of the tribesmen did not, nor was any effort made to impress them, the Sultan being as wary of the Tuareg as they were of him. When Ali Dinar decided to flee al-Fashir in the face of the approaching British-led Egyptian Army in 1916, he took with him his soldiers, slaves, concubines, relatives, retainers, eunuchs and most of the royal court – in other words, a good part of the town of al-Fashir. By the time the invaders entered the capital, the “Kinin” had already ridden in to begin the looting of the nearly deserted city. They were quickly joined by the Egyptian, Sudanese and British troops of the “Government Army.” In the following days, groups of veiled Kinin featured strongly in the photograph collection of most British officers armed with a camera. A British intelligence report suggested that the Tuareg of Darfur “would be valuable allies since they are reputed good fighters and fearless.”  At home, however, the French defeat of the last great Tuareg revolt, the Kaoçen Rebellion of 1917, meant that a form of peace, if not freedom, now prevailed and the Tuareg began to drift home rather than ally themselves with the Anglo-Egyptian government of Sudan. 2. National Records Office, Khartoum: NRO INTELL 5/3/38, H.A. MacMichael, “Notes on the Tribes of Darfur,” October-December, 1915. A late January offer of a unilateral ceasefire from the self-identified second-in-command of Nigeria’s Boko Haram militants has raised hopes of a negotiated peace in some quarters but has raised questions over the current state of the group’s leadership and the legitimacy of the ceasefire offer. The offer came in the aftermath of two highly unusual meetings between Borno State government officials (including Governor Kashim Shettima) and Shaykh Muhammad Abd al-Aziz ibn Idris, the self-identified “second-in-command” of Boko Haram and regional commander of the movement in north and south Borno (Osun Defender, February 4). The unilateral ceasefire is supposedly intended as a first step towards a dialogue between the movement and the government, but so far, there have been no comments on the initiative from Boko Haram leader Imam Abubakr Shekau. Nigerian security officials reported that the Boko Haram leader was badly wounded when he tried to pass through a JTF checkpoint posing as a Fulani tribesman. Shekau and two wounded companions escaped after a firefight with JTF members, while two other gunmen were killed in the exchange (Vanguard [Lagos], January 19). Nigerian security officials traced Shekau to Islamist-held Gao in northern Mali, where he was reported to be receiving medical treatment before the city fell to a French-led offensive. We, on our own, in the top hierarchy of our movement under the leadership of Imam Abubakar Shekau, as well as some of our notable followers, agreed that our brethren in Islam, both women and children are suffering unnecessarily; hence we resolved that we should bring this crisis to an end. We have also told the government to try to live up to our demands that our members in detention should be released. We hope the government will not betray us this time around, because we all know that it was because of the continued detentions of our members that this crisis continued for this long. And if the government fails to do as it now promised, then this conflict will never have an end (Radio Nigeria [Abuja], January 29). Less than a day after the January 28 ceasefire was declared, a Lagos news agency interviewed a self-identified Boko Haram leader by telephone in Bauchi State. The alleged leader, calling himself Mujahideen Muhammad Marwana, disclaimed any knowledge of a ceasefire, saying such a move would be impossible so long as Boko Haram members continue to be “unjustly” held in prison. Marwana further claimed that the movement had met with government officials he cited by name, but that the talks had gone nowhere because the delegations had been slaughtered by the security services (Sahara Reporters [Lagos], January 29). The ceasefire did not seem to be respected by all elements of Boko Haram; a January 28 attack by suspected Boko Haram members on the village of Gajiganna (north of Maiduguri) left at least eight people dead (Xinhua, January 28). Shaykh Muhammad Abd al-Aziz claimed the attack was the work of criminals rather than Boko Haram, complaining that “some criminals have infiltrated our movement and continued attacking and killing people using our names“ (Vanguard [Lagos], January 29). There are fears in Nigeria that Boko Haram members might flee the French offensive in northern Mali to engage in new attacks in northern Nigeria. An army spokesman outlined the approach of Nigerian Chief of Defense Staff Admiral Ola Sa’ad Ibrahim, who will consider the ceasefire legitimate only if Boko Haram refrains from attacks for a one month period: ‘‘The Boko Haram members are Nigerians and by now they must have seen the futility in their agitation and by now, with the situation in Mali, they should listen to the voice of wisdom coming from the Chief of Defense Staff asking them to stop their attacks for one month if they are sincere in their call for a ceasefire. This is the best option left to them’’ (Leadership [Abuja], February 4). 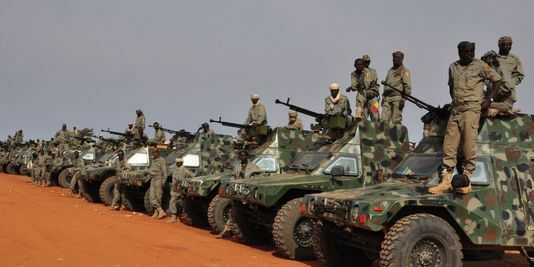 Nigeria’s 1,200 man deployment in northern Mali has been urged to watch for Boko Haram members operating in the region and border security has been stepped up with the deployment of the Nigerian Army’s First Mechanized Division and Third Armored Division to prevent the infiltration of terrorists fleeing northern Mali (Vanguard, January 19). According to Nigerian Chief of Army Staff Lieutenant-General Azubuike Ihejirika, many of the Boko Haram militants operating in Nigeria received training from Islamists in northern Mali (Daily Trust [Lagos], January 18). Nigerian security forces also claim that weaponry recently seized from Boko Haram cells originated in Libya. The movement is alleged to have obtained advanced weapons from Libyan sources, but members lack the training to use them (Vanguard, January 19). There have been numerous incidents of violence over the last month in Kano, a northern stronghold of the movement. Most shocking to Nigerians was the January 19 attempt by suspected Boko Haram gunmen to kill the Amir of Kano, Ado Bayero, a highly influential traditional leader. Though the Amir survived, five people were killed and at least ten wounded, including two of the Amir’s sons. If the attack had been successful it might have ignited an explosion of violence across Nigeria, hardly the work of an organization preparing for a dialogue on peace. The attack was the latest in a series of attempts to kill traditional Islamic leaders in northern Nigeria, including the Shehu of Borno and the Amir of Fika, both of whom were targeted by suicide bombers. The influential Borno Council of Elders has encouraged the government to seize the opportunity for dialogue, saying that the legitimacy of the ceasefire was only a secondary concern: “The idea of whether it is a faction [that declared the ceasefire] or not should be discarded so that we can make progress. In this direction, we are calling on the government to commence the process of dialogue without any delay” (Daily Trust [Lagos], February 1). The Sultan of Sokoto, Muhammadu Sa’ad Abubakr III, also urged Lieutenant General Ihejirika to pursue the opportunity for dialogue with Boko Haram. The Sultan, who is considered the spiritual leader of Nigeria’s Muslims, was also a professional soldier, seeing service in Nigerian deployments to Chad and Sierra Leone. Despite the ceasefire offer, Nigerian security forces have not let up in their struggle against the movement, announcing on February 1 that JTF forces supported by helicopter gunships had destroyed Boko Haram training camps over two days in the Sambisa Game Reserve and Ruwa Forest, killing 17 suspected insurgents (AFP, February 1; Vanguard [Lagos], February 2). Unfortunately, optimism that nearly four years of brutal violence could be coming to an end may be misplaced. Muhammad Abd al-Aziz ibn Idris was nearly unknown prior to his remarkable meeting with officials of the Borno state government, though he issued statements twice in the past year indicating Boko Haram was interested in peace talks (Reuters, January 29). In previous telephone contacts with the media he has been unable to verify his identity as a Boko Haram leader (Osun Defender, February 4). His claim to be second-in-command of Boko Haram is not consistent with what is known of the group’s leadership structure, which consists only of an Amir (Shekau) and a 30-member Shura (consultative) council. By declaring a unilateral ceasefire, Boko Haram’s leadership has received nothing in return, an unlikely move for a movement that is typically inflexible in its demands. Continuing silence from Imam Shekau regarding the ceasefire has done nothing to clarify its legitimacy. 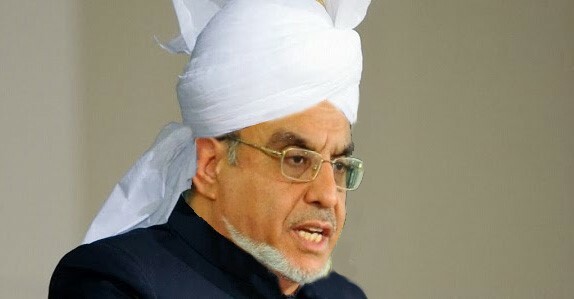 Though it is possible the offer represents the emergence of a faction within Boko Haram that is ready to step back from the spiraling levels of violence in northern Nigeria, it is also possible that Shaykh Muhammad Abd al-Aziz has no credibility within the movement, or that the initiative is simply a covert attempt by Nigeria’s security services to create confusion within Boko Haram during the absence of Imam Shekau. Nigeria’s federal government is approaching the ceasefire offer with greater wariness than the enthusiastic welcome the announcement has received in some quarters of northern Nigeria. Even if the ceasefire offer is credible, it is still uncertain whether the offer extends to the newly formed Ansaru movement, which claimed responsibility for a January 19 attack on Nigerian troops headed to northern Mali and an earlier attack on a police headquarters in Abuja.